So, here are my favorite books that I read in March! Finally picked these four books up, though I don’t know why it took me so long considering I’m a big fan of Wells’ Raksura books. All Systems Red has been on my list since it came out and I just kept adding to it with each subsequent publication. A part of me is glad I waited though, because I got to read them back to back without much break between to forget details of the stories. They’re each a fun romp with an interesting lead who is constantly balancing its own secrets with its desire to protect the humans around it. Each story revolves around a new (or newish) conflict, goal and enemy, with the lovable rogue SecUnit at its core. 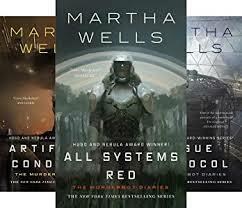 They’re softer sci-fi, more focused on the character of Murderbot and its introspection and humanization, though they don’t delve too far into what it means to be human, keeping instead to the adventure and character development of Murderbot itself. I think I liked that best about the story overall, because it was a beautiful story about someone who didn’t want to be anything but itself in a world that expected it to want to be something it wasn’t. I hadn’t tried Chokshi before so this book was a fun surprise. The Forging abilities were not only fresh and interesting in a magical design sense, but they were also embedded in every scene, on every page, in both the history of the world and in the details of the everyday. At its core, the story is a heist, with puzzles and math and specialized characters each with their own unique views and skills. It is YA, but it’s most definitely open to a wider audience. Even if you don’t generally enjoy historical settings, I think you’ll like this one because it’s put together beautifully. This was another author I had not tried before; I had a few of them this month hoping to find some new fun adventures for my bookshelf. This one made me pick it up because…ghost ship! 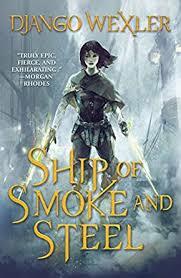 And the ship was just as intriguing in the reading as it was before I opened the book, and a whole lot bigger. You could call the Solitan a labyrinth it’s so huge. There are strange creatures and ghostly mysteries, not all of which are solved by the end of the book, but enough to leave you satisfied. 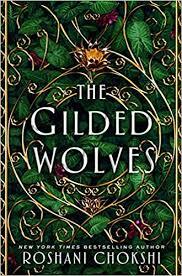 I’d say, that although the genre is considered YA, the novel feels geared toward an older YA to adult audience given some of the more gritty representation and blunt, experienced characters. Another one with an interesting ship concept, this time in space. I admit, the Jaggery, a living ship where the bulk of this story takes place, is part of why I enjoyed this novel as much as I did. (It has a lake and a secret network of tiny tunnels for all its dwarves!) That, and the interesting blend of sci-fi and fantasy that often had a comical undertone to it despite the dark situations. 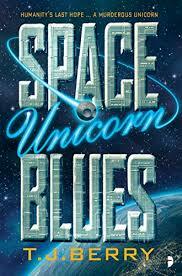 As for the characters, there’s a half-unicorn, a disabled ex-military, a trans ‘business-woman’, and a grizzled older pilot, all of whom have lost and suffered because of choices they’ve made in the past. The fact that these characters had to deal with actual loss because of past (and later current) choices, made this story more layered than just what seems to be on the surface. 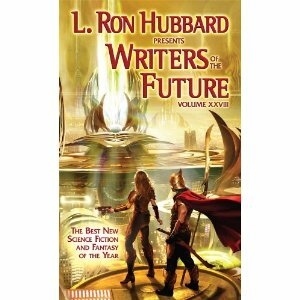 I did read more science-fiction novels in March, but unfortunately they weren’t quite for me. Maybe next month! I also read a couple of older books, including a few Agatha Christie. I started a quest to read her work a few years ago and I don’t think I’m even half-way through yet, but I’m three books closer :) They’re nice, calming stories that are good to read as almost a reset button if I’ve struggled to enjoy the last few books. 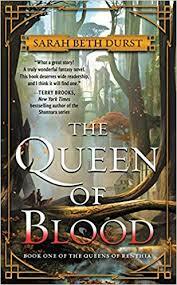 This entry was posted in Recommendation and tagged books, django wexler, fantasy, fiction, genre-bending, historical fiction, martha wells, Recommendation, recs, roshani chokshi, sarah beth durst, sci-fi, science-fiction, space fantasy, t j berry. Bookmark the permalink.